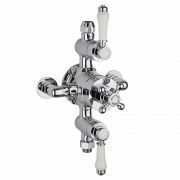 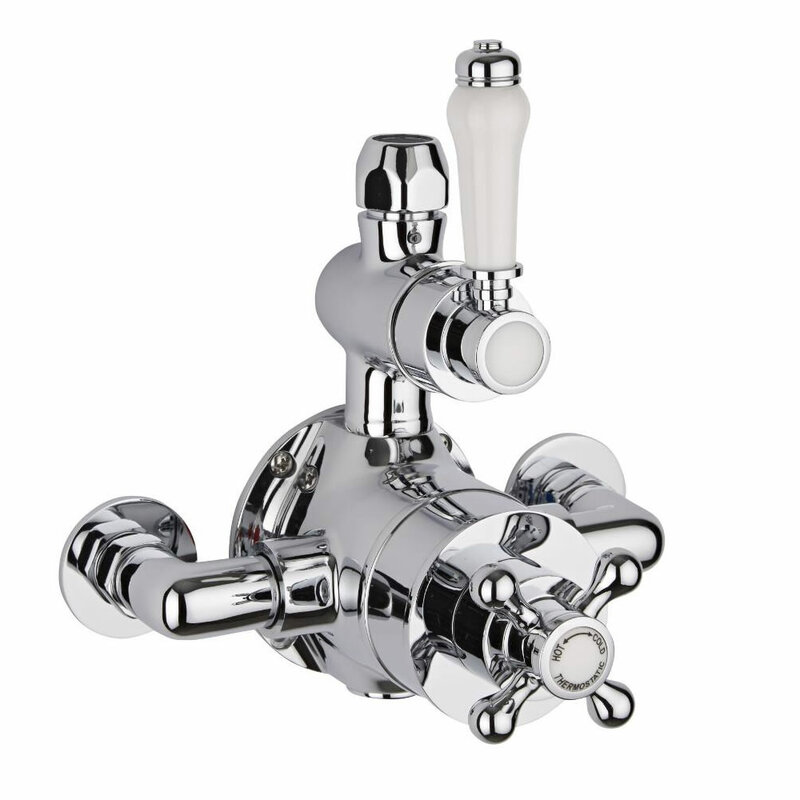 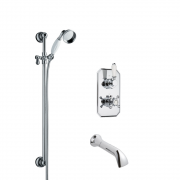 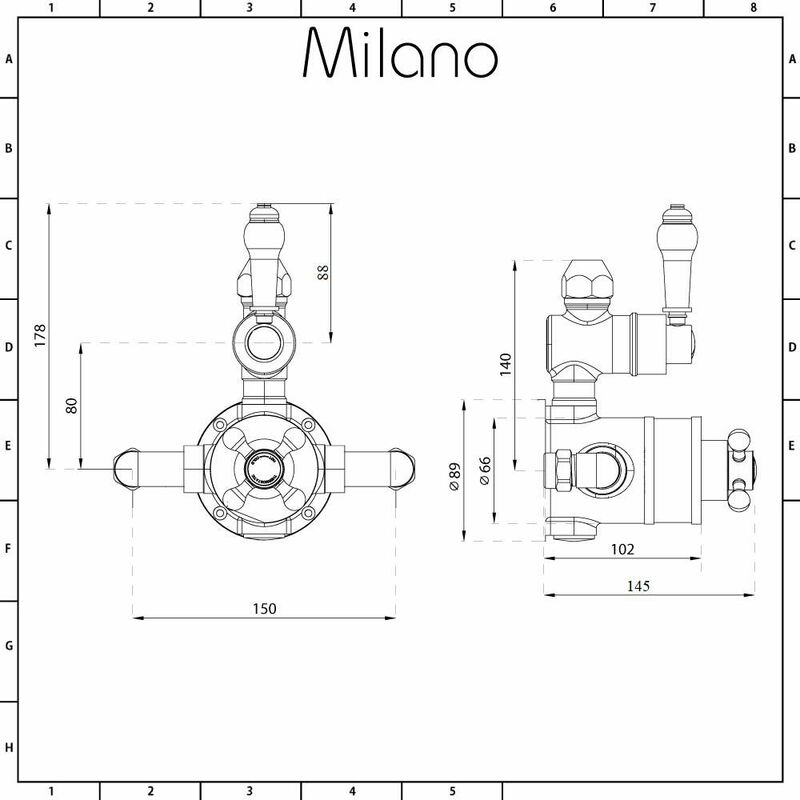 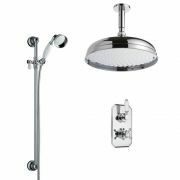 Enhance your traditional bathroom or en-suite with the Milano Victoria twin exposed thermostatic shower valve. 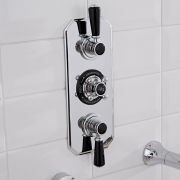 Perfect for creating a classic and elegant look, this TMV2 approved thermostatic shower valve incorporates an automatic anti-scald device to ensure a safer showering experience. 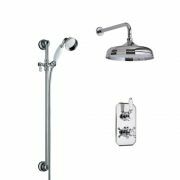 It features a brilliant chrome plated finish that will not rust, as well as a solid brass construction for great durability. 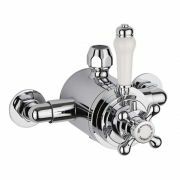 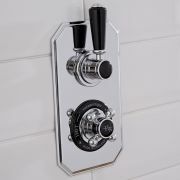 The shower valve also features ceramic disc technology for smooth and precise control.